Fatality by Firelight sucked me right in from page one. Cat’s Victorian home is the perfect cozy setting for a writer’s retreat. When one of her guests is suspected of murder, she has to play detective as well as hostess. 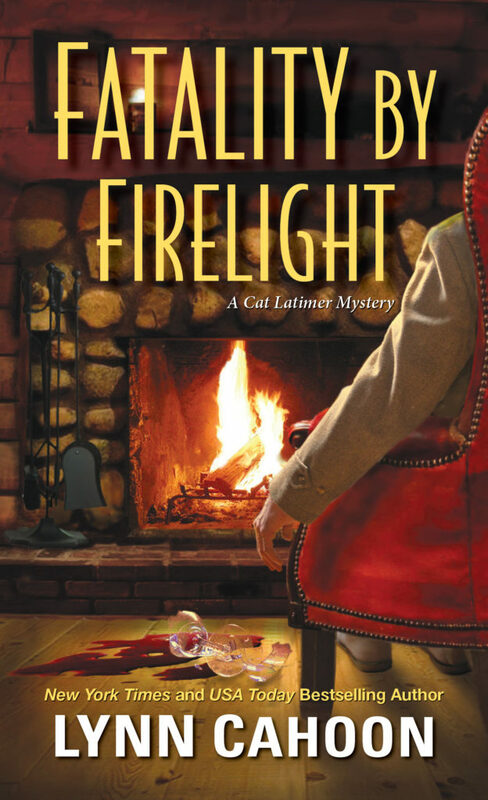 Fatality by Firelight is full of romance, good food, and plenty of suspects. 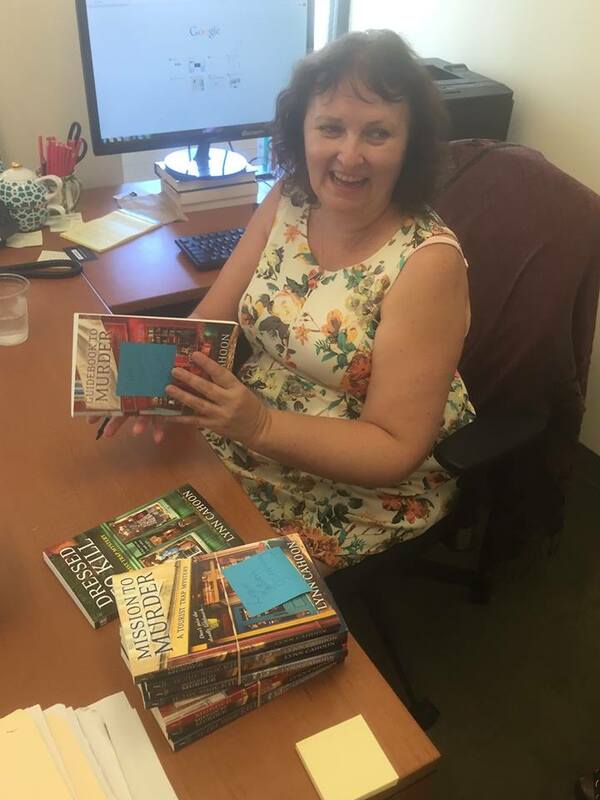 I’m very lucky to have the author, Lynn Cahoon, as a guest on the blog today! Read on to hear what she has to say about living in a small town, and to enter her giveaway. Small towns. Gotta love them. I grew up in a small town. Two actually. I lived in a typical 60’s neighborhood until I was eight. We played in the street, explored the wilds of the undeveloped land behind the next road with our bikes, and walked the two/three blocks to school. I loved irrigation day as the water bubbled up from the buried pipes and flowed out to the gutter where it warmed in the summer sunshine. We knew what neighbors were grumpy and didn’t like kids. A woman who lived across the street taught me to quilt and let me ride her horse. The quilting turned out more my speed as I fell off the horse and he stepped on my ankle. Then we moved to the country to a farm. My nearest playmate was down the road close to a quarter of a mile. People at school who were willing to befriend a shy new girl lived across the county, too far for an afternoon play date, even if we could have talked our parents into driving. Instead of walking to school, I rode a bus for over an hour. I made new friends. One, a high school girl, liked to write stories and illustrate them with pictures from Teen Beat and Seventeen. She was my first writing coach and gave me the bug. I think she also taught me it was okay to be a pantser, forming the story around the pictures I could find. My high school class graduated 60 kids, or would have, if a few of the guys hadn’t flunked out of a few classes and had to stay behind. I fell in puppy dog love with the transfer student from NYC. He was tall, dark, and didn’t belong in the small country school where the other boys brought their pickup trucks with gun racks in the back so they could go pheasant hunting after school. Mike was as exotic as if he’d landed from another planet. And he played the guitar. I was head over heels, and he didn’t know my name. It’s memories of these two small town lives that I bring into the stories I tell. And probably, my childhood skill of making up stories to make myself feel better when I was lonely or scared, helps me craft stories now. Aspen Hills, Colorado, Cat’s hometown and now home to her new business, the Warm Springs Writing Retreat, is a small town. One where you can walk to everything. One where your high school sweetheart is still around. One that held secrets that Cat didn’t know as she was growing up or when she married. Secrets that the town lives with because it’s always been that way. Secrets that Cat needs to find out to solve the next murder and keep her guest from holding the bag. Enter the Rafflecopter giveaway (ENDED) for your chance to win one of 2 signed copies! Thanks for coming by Kathleen! Small towns can be refreshing or lonely. Nice hearing the author’s thoughts about their life growing up and influences on their writing. I always love hearing from the authors!